It is a story of idyllic young love in Nazi-occupied France, suddenly and heartbreakingly cut short -- but never abandoned or forgotten. It is a story of bravery and patriotism. It is a story of war, intrigue, "La Résistance," invasion and eventual liberation. It is also a story of hope and sheer perseverance on the part of a World War II veteran who, at age 93, is still a hopeless romantic. His name is John Tschirhart. Because so many facets of John's life cannot be adequately reflected in a title, the movie that will tell this veteran's story of love and honor will be simply called "The French American." That is the title chosen by Denver film producer Darla Rae and "Film It Productions" to finally document the incredible life journey of John Tschirhart: Born in the U.S., a Frenchman to his core, yet an American patriot. Charming and interesting? You bet. I felt the same way about John when I first met him about four years ago. He told me he was of French descent. That, I believed immediately. He also told me he was 90 years old. That, I could hardly believe. He then told me his life story. I could say "unbelievable," but that would be an understatement. As will become apparent, the story of John Tschirhart is one that you would only expect to see in a compelling, haunting movie about romance, amour, passion and heartbreak; about war, suffering, intrigue, spies and heroism. Finally, four years after that writing, "The French American" is about to become a reality. John has carried this story for 70 years, and during the past 20 years, several filmmakers have promised to help bring his story to the big screen. They took his money, but never delivered. Once I heard all of the beautiful components of his life I wanted to help make it right. We should pay respect to our veterans, not take advantage of them. I have great admiration and respect for our soldiers and you can't deny working with a WWII veteran is a once in a lifetime opportunity for a filmmaker. The following are some of those "beautiful components" of John's life which Rae will be immortalizing, as described in "Love survives all - even war." John Tschirhart was born in San Antonio, Texas, in 1920, but was living in France when the Nazis invaded at the outbreak of World War II. John, then 20, had fallen in love with a beautiful, young French girl named Malou. After surviving the Luftwaffe's bombing of the little town where they lived, John and Malou flee to the relative safety of Paris. But because John is an American, he risks capture by the Nazis and deportation to some forced labor camp in Germany -- or worse. After a couple of close calls with German patrols, an inconsolable John leaves his young love behind and joins the hordes of refugees seeking safe passage out of France. 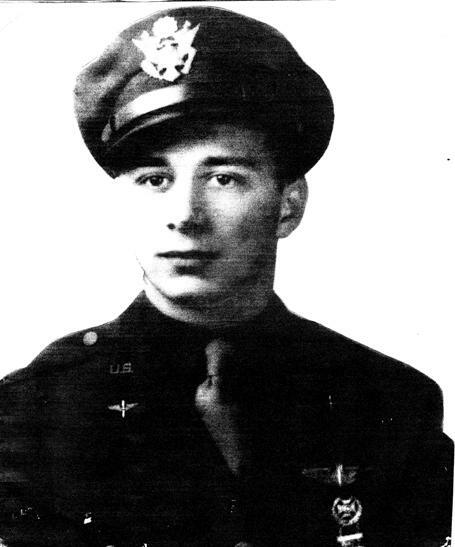 John eventually makes his way back to his native San Antonio and enlists in the Army Air Corps as the U.S. enters World War II. 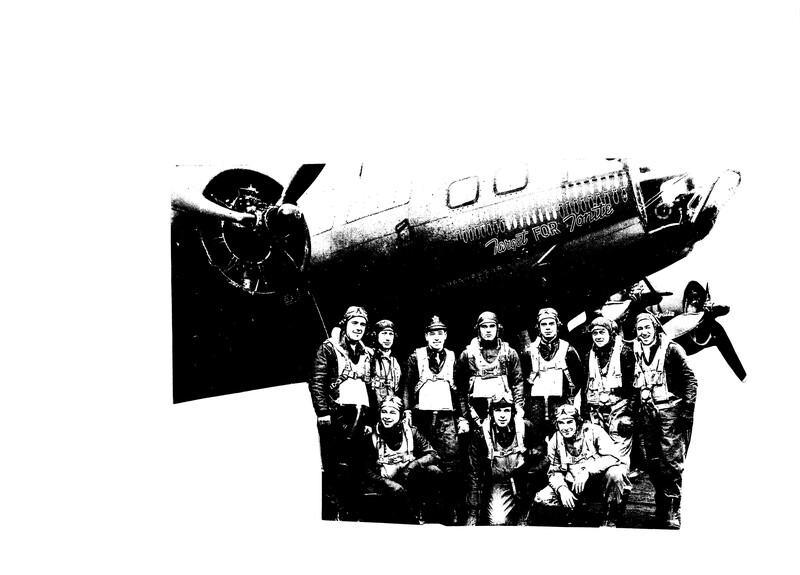 After being commissioned as a second lieutenant, John becomes a bombardier on the fabled B-17 "Flying Fortress" bomber. In 1943, this French American ships out to England and is assigned to the 305th Bombardment Group. His official mission: to bomb Nazi installations and strategic targets in Nazi-occupied Europe. His private mission: to find Malou. Photo: Courtesy John Tschirhart, bottom row, left. While making bombing runs over Nazi-occupied France and when nearby Malou's hometown, the love-struck bombardier tosses out of his bomber small boxes suspended from handkerchief parachutes and follows their descent among the heavy flak from the anti-aircraft guns below, hoping and praying that someone will deliver the box's contents -- a rose and a love letter -- to the love of his life, Malou. 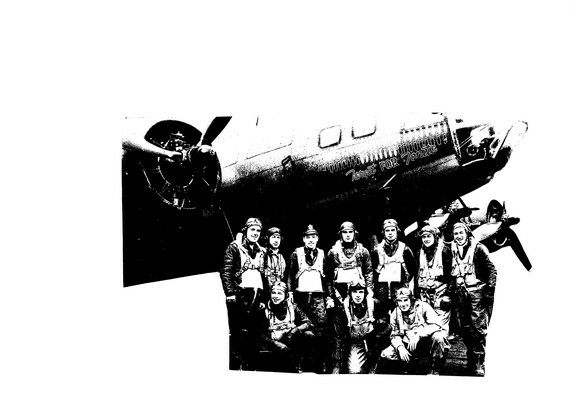 When his assignment as a B-17 bombardier comes to an end in 1944 -- after flying 35 combat missions over Europe -- John, now a highly decorated Army intelligence officer, rolls out onto the beaches of Normandy just two days after D-Day. Eventually John makes it to the hotel in Paris where he last saw Malou three long years before. John has heard rumors that Malou has joined the French Resistance. Will she remember him? Will she still love him? Has she been captured? Is she still alive? The answers to these questions and much more, will become clear in Darla Rae's upcoming movie. 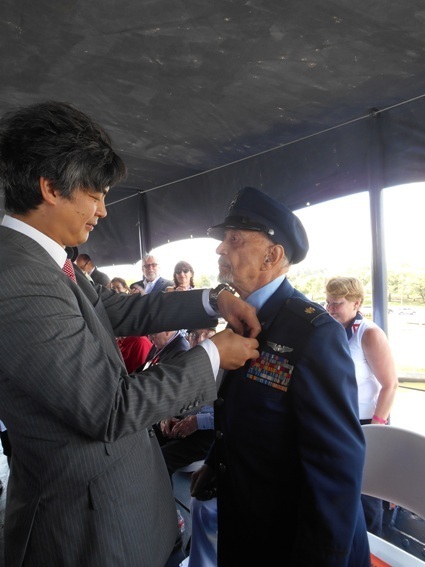 After World War II, Maj. Tschirhart went on to serve his country meritoriously in Laos, Vietnam, Libya and the U.S.
Now living in Austin, Texas, John to this day continues to receive the highest recognition for his World War II service. A few years ago, the Governor of France's Low-Normandy presented La Médaille du Jubilé to John in a ceremony in Austin, Texas, honoring his action in the Battle of Normandy. It is through a news story of this ceremony that filmmaker Rae learned about Tschirhart. Through her feature film, "The French American," Rae, who considers working with a WWII veteran "a once in a lifetime opportunity for a filmmaker," hopes to share with Americans, especially the younger generations, a fascinating World War II story that needs to be told now. On December 20, John will turn 94. Rae and her team are hoping to, on that day, be able to assure John that his story will be told. "Imagine the smile on his face when he blows out those candles and opens a present with a beautiful production schedule and a full cast list," Rae says. To learn more about "The French American" and about the team that will be producing it, or to contribute to help John's lifetime dream come true, be sure to visit the Indiegogo campaign here. Darla Rae's and "Film It Productions'" last film project "Spirit of Love, the Mike Glenn Story" was recently distributed for free to every deaf and blind student, and their parents, teachers and coaches in the U.S. through the Department of Education. Their films have won numerous awards including the Best Inspirational Film from the Inspirational Country Music Association. Other film success stories include a screening before the United States Congress of the award winning medical documentary "Dandy Kids." This screening changed the way research dollars were appropriated to help families and support medical research. The film continues to help families around the world and those within the medical community.